These winter barn wedding invitations have a snowflake and wood design. They would be perfect for a winter wedding with a country barn theme. The size of these wedding invitations is 7 x 5 inches. There is a choice of Standard or High Definition printing. The background is a rustic barn wood image. This is what gives these wedding invitations their country feel. The dark wood compliments the snowflakes and text color well. The decorative bright white snowflakes bring an enchanting winter wonderland element to the style. You can customize both the front and the back of these wedding invitations. The back of the invitations have the barn wood image by default. Personalize the back with additional text or even a photograph. For some of the options, you may have to click on the Customize link to move your text or the snowflakes if they are getting cut off by the trim. You will be able to see it in the preview after you choose your trim option. There are 12 paper options that you can choose from. Each paper gives the invitation a different look. Some of the papers are textured and colored. The choices range from the standard papers such as Semi-Gloss and Matte to other papers such as Ultra-Thick, Laid, Linen, Columned, Felt White, Felt Ecru and Kraft. Other options are the Pearl Shimmer, Champagne Shimmer and even Metallic Silver. Your paper choice will determine how the design will look. If you choose the Felt Ecru then your snowflakes and text will be a cream color. If you choose Kraft then the design will be kraft. Metallic Silver will give you silver snowflakes and the Pearl Shimmer paper will have shimmering pearl snowflakes. The price will change depending on the type of paper you choose. The price of the invitations will vary depending on your choice of paper and trim. This price guide is for invitations on Matte paper with Normal trim and Standard print. The prices may change at any time. Please check the suppliers website for the current prices. They often have sales and further discounts. There are 3 different postage stamps to choose from depending on what you will be using them for. 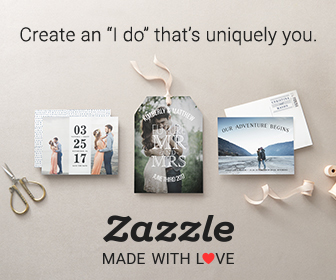 You can use them for posting your wedding invitations, return postage for your reply cards or sending out your thank you notes. These address labels are perfect for addressing reply card envelopes. There are 18 labels per sheet. 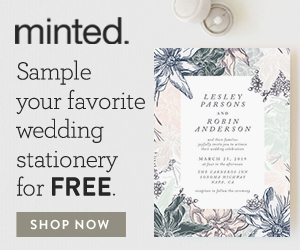 Use these matching stickers as envelope seals or stick them on your wedding favors. Keep the theme going on your table settings with these matching menu cards. You can also personalize the text on these and turn them into wedding ceremony cards. Double sided table numbers to complete the look at your wedding reception. These rustic snowflake napkins can be personalized with your names and wedding date.